Prosecutors allege Tanya Singleton helped Hernandez’s ‘right-hand man’ Ernest Wallace travel to Florida after the killing. FALL RIVER, Mass. 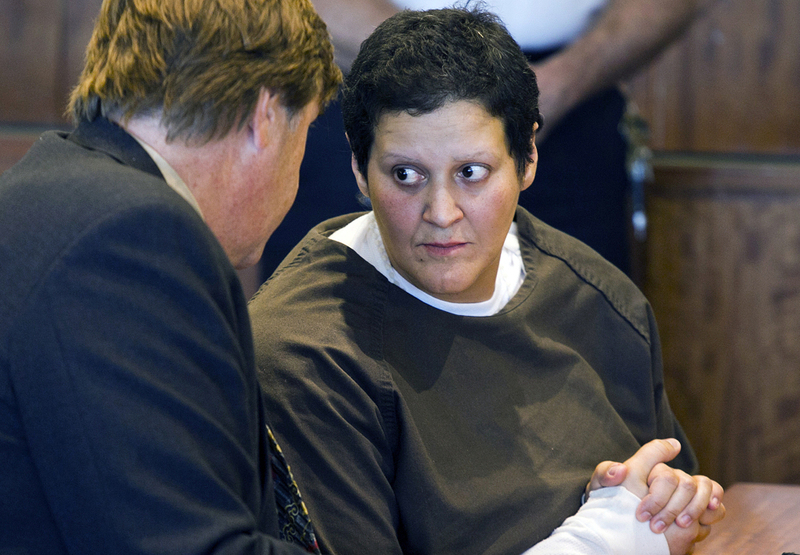 — A cousin of Aaron Hernandez was released on bail Thursday, more than five months after her indictment in connection with the murder case against the former New England Patriots player. Bristol Superior Court Clerk Marc Santos said through a court employee that Tanya Singleton of Bristol, Conn., had been released. She has been jailed since August in Boston. Singleton has pleaded not guilty to criminal contempt and conspiracy to commit accessory after the fact. Prosecutors granted her immunity but she refused to testify before the grand jury that indicted Hernandez. Hernandez has pleaded not guilty to murder in the June killing of Odin Lloyd, a 27-year-old Boston man who was dating the sister of Hernandez’s fiancee. Prosecutors allege Singleton helped Hernandez’s “right-hand man” Ernest Wallace travel to Florida after the killing. They also say she discussed helping another Hernandez associate, Carlos Ortiz, flee to Puerto Rico after the killing and disposed of a cellphone that Wallace had used but that was subscribed in her name. Wallace and Ortiz have both pleaded not guilty to accessory charges. Judge Susan Garsh in October set Singleton’s bail at $15,000 cash with conditions, including electronic monitoring and regular reporting to a probation officer. The judge, at first, said Singleton also had to reside in Bristol County, Mass., but later allowed her to live in a neighboring county. Singleton’s attorney, E. Peter Parker, did not immediately return messages seeking comment. Gregg Miliote, a spokesman for Bristol District Attorney Samuel Sutter, said he had no comment on Singleton’s release. The DA’s office had argued initially for $100,000 cash bail. A hearing in Singleton’s case scheduled for earlier this week has been pushed back to Feb. 27.